"What we saw from [Israel's Prime Minister Benjamin] Netanyahu was nothing but a childish and ridiculous show, Iranian Deputy Foreign Minister Abbas Araqchi said in an exclusive interview with Press TV, an Iranian state news agency. He recalled that the latest remarks by Netanyahu on the Joint Comprehensive Plan of Action (JCPOA), also known as the Iran nuclear deal, was little more than a repeat of the Israeli Prime Minister's allegations in the past and that the International Atomic Energy Agency (IAEA) has already rejected them as something that has nothing to do with reality. Blaming Netanyahu for trying to affect US President Donald Trump's forthcoming decision on the Iran nuclear deal, Araqchi signaled Tehran's readiness for any scenario related to the future of the JCPOA. He was earlier echoed by Foreign Minister Mohammad Javad Zarif, who described Netanyahu as "the boy who can't stop crying wolf is at it again." "Undeterred by the cartoon fiasco at UNGA [United Nations General Assembly]. You can only fool some of the people so many times," Zarif tweeted on Monday. He was apparently referring to Netanyahu's address to the United Nations in 2012, when "he unfolded a chart with a cartoon-style drawing of a nuclear bomb, and proceeded to draw on it with a red magic-marker," according to Press TV. Zarif has also rejected the allegations of Washington and Tel Aviv that Tehran continues its efforts to obtain a nuclear weapon. "Pres. Trump is jumping on a rehash of old allegations already dealt with by the IAEA to 'nix' the deal. How convenient. Coordinated timing of alleged intelligence revelations by the boy who cries wolf just days before May 12. But Trump's impetuousness to celebrate blew the cover," Zarif said in a separate tweet. 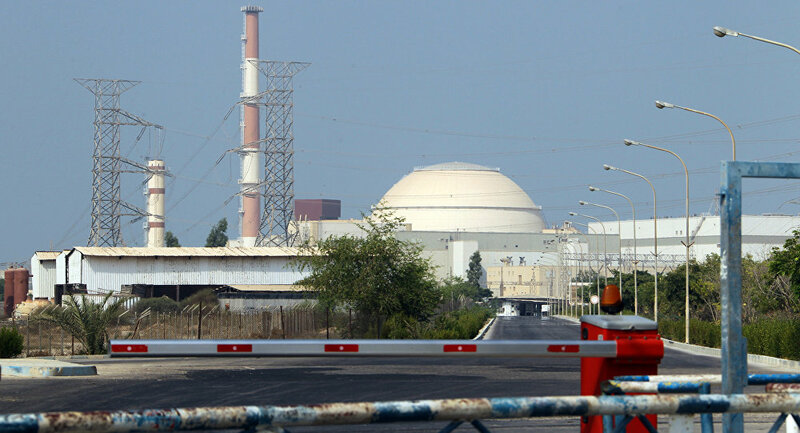 Earlier, Netanyahu claimed that even after signing the JCPOA, meant to ensure the peaceful nature of Iran's nuclear program, Tehran continued to keep and develop its nuclear weapons "know-hows" for future use. According to Netanyahu, Israel has obtained about 100,000 files proving that Iran's nuclear program had a military dimension, codenamed "Amad Project." Since his election campaign in 2016, US President Donald Trump has repeatedly expressed his dissatisfaction with the JCPOA. In late January 2018, he intensified his rhetoric, asking Congress to address the flaws in the "terrible Iran nuclear deal" and threatening to pull out of it otherwise. Trump is expected to announce his decision by the May 12 deadline, whether or not he imposes economic sanctions against Iran. European countries which are signatories to the JCPOA have more than once voiced concern about Washington's plans on the Iran nuclear deal, while Moscow has warned against scrapping the agreement. The Russian Foreign Ministry announced that it would stick to the JCPOA provisions as long as other participants do. Moscow also added that it does not believe the deal needs to be changed. The JCPOA was signed by the European Union, Iran and the P5+1 group of countries, including Russia, China, France, the United Kingdom, the United States and Germany, on July 14, 2015. The deal stipulates Tehran pledging to not seek to develop or acquire nuclear weapons in exchange for the lifting of sanctions imposed against the Islamic Republic.